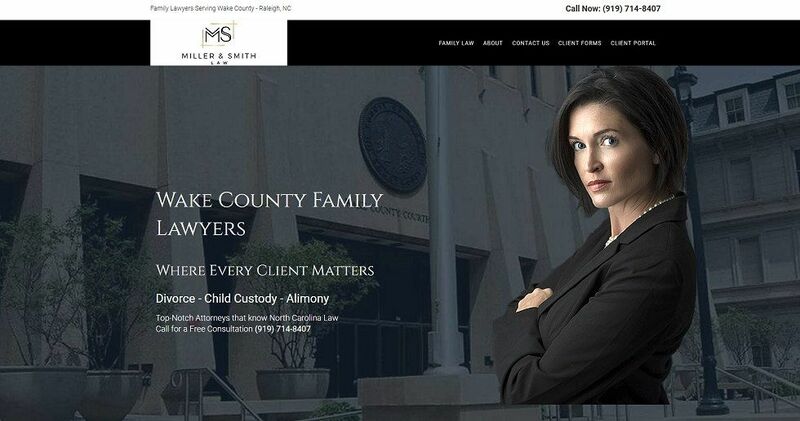 Wake County Lawyers are 2 of the best Family Lawyers in North Carolina. Tammy Johnson Smith, a seasoned legal professional with an impressive range of experience and proven success to conquer anything in the courtroom, and Marshal Miller, an award winning attorney and former Mayor! Together, they wanted a website that was professional, yet reflected their attitude and dedication to their clients.